Sewing Like Mad: Same pattern - three dresses. Same pattern - three dresses. This post is a two-in-one. 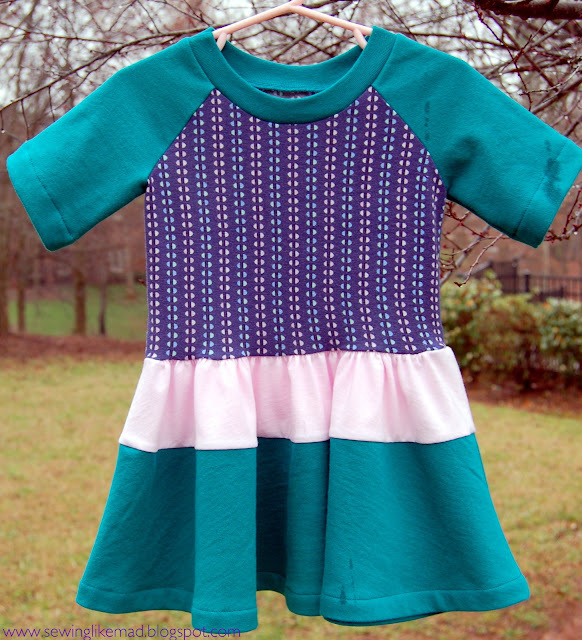 It is both a knock off and it is my contribution to Project Run & Play sew along link party, week 6 - Signature week. So how can a knock off be MY signature? Well, it could be because everything I do is a knock off but I actually don't think that is the case....not ALL of it, ahem! So what is it then, will the now slightly bored and impatient reader think? Well, my signature is that I just can't make simple (and I don't mean that in a bad way!) and one colored clothes. Then onto version two and things are not getting any simpler design and colorwise.... When I was making dress no. one I originally cut the neck ribbon and sleeves in green but ended up doing what you see above and that's when dress no. two was happening....I mean with sleeves and neck ribbon already cut the next dress was basically done right! And with this one you probably think I did not have fabric enough....and that could VERY well had been the case. The blue stripy jersey is very very soft and stretchy and the green is a much thicker sweatshirt fleece and I was worried that the soft blue jersey would not be able to 'hold' the very bulky skirt part of the waist and making the waist seam look even more 'bubbly'* than it already does. Maybe I am over cautious but I decided to go with some color block and add a top part to the skirt in a thinner jersey....and suddenly it got a bit of a peplum effect. Hmm, I like! *In all these dresses I should really add some of that clear elastic band you fx use in underwear to hold in/keep the shape of the waist seam......IF I get my act together and do that before I send them to my niece I will make a little update post so you can see what a difference that would make. 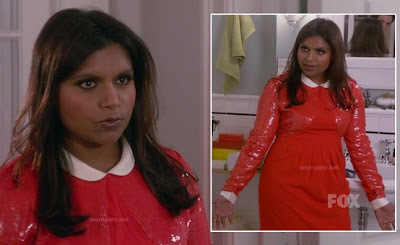 The last dress was made because I saw this amazing dress on Mindy from The Mindy Project (the first sit com I have ever thought was really REALLY funny - anyone else seeing that?). I loooove the little Peter Pan collar and thought okay last one, freak! And the result is what you see above. I am sure you recognize the fabric combination from THIS dress. 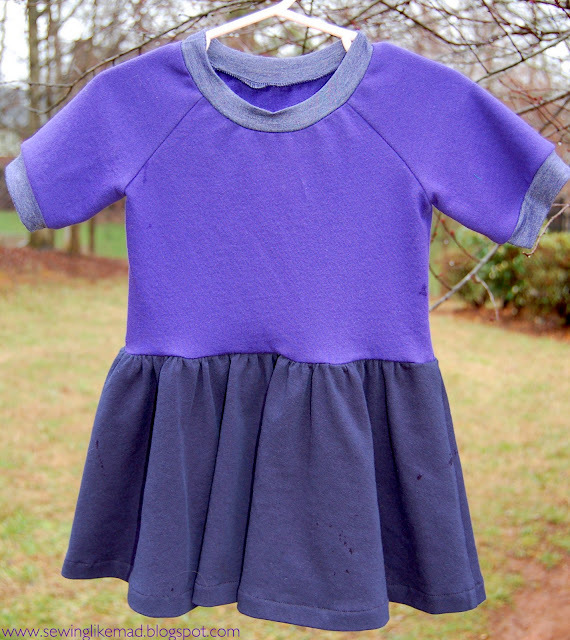 The dress from Gray Label is rather bland for a child, compared to yours. I love your colour combinations, MIe!!! I love that collar on the last dress. Fantastic! What fun and comfortable clothes. I am sure she will enjoy it. I love the prints you've chose. I really like the collar. I really love the color combo and style of the yellow dress. What fun adaptations you have. Great job Momma! All 3 dresses are beautiful! They look pretty and comfy, the perfect combination! My girls would fight over the purple one. they are all great, they look fun, comfy, and are not exactly what you can find in store which totally makes them 'your' style! You are so good with knits Mie! I really like all 3 dresses---all cute and practical but that last one is just so stinking cute! I love it! 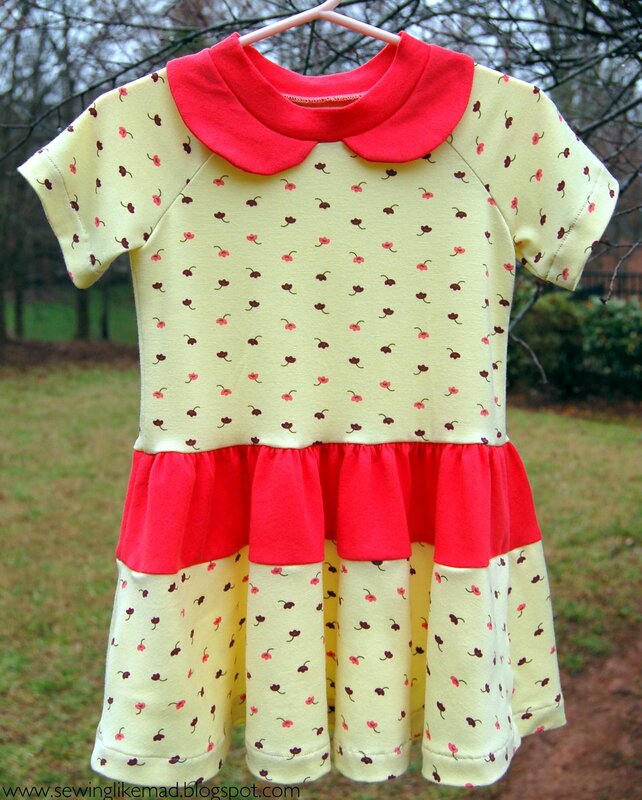 Very cute dresses! I'm the same way, I struggle to sew with just one fabric/color. . . and why should we when there are so many great fabric options out there? lol. Mixing and matching is half the fun for me. 'Keep Your Cool' smartphone cases.